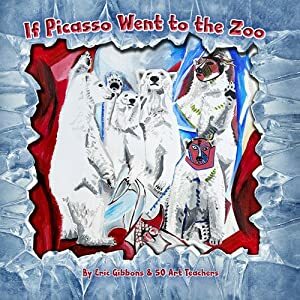 “If Picasso went to the zoo, is this the kind of painting he’d do?” Eric Gibbons questions at the beginning of his book. This one-hundred-and-twenty-eight-page paperback targets children ages five to seven years old but adults will thoroughly enjoy its contents. With no scary scenes, fifty artists’ designs are portrayed on the left side of the pages while the right sides have poems regarding the genre of art styles with educational information about animals that are at zoos. The ending has small depictions of the artworks with the artists’ names and websites. From notables such as Bosch, Warhol, Dali, Rembrandt, and Wyeth to lesser known Albright, Calder, Blair, and Tanning to name a few, current-day artists mimic their format, creating like-designs resembling zoo animals such as elephants, pigs, monkeys, seagulls, or turtles. In this engaging book, art is blended with viewing animals while reading about them as they relate to well-known artists. As a painter, I value how an artist portrays their vision to the canvas or medium. With each page having a rhyme regarding the artist and a zoo animal, the reader gets absorbed into the design. It was thoughtful to include “leaf codes” at the bottom corners regarding endangerment or extinction. My favorites were Escher’s patterns of egrets that discussed the artist’s real name, his love of math, and how the bird is threatened because of their plumes. Another well-designed one was Seurat’s scene that includes seals and the artist’s fascination with dashes and dots. If you do not like learning about famous artists, their design styles, or zoo animals, you may want to pass on this book, but you would be missing out on an informative, creative read. AENJ award-winning art educator, artist, and inventor, Gibbons has been featured in international exhibits in Japan and Egypt. He lives in New Jersey. 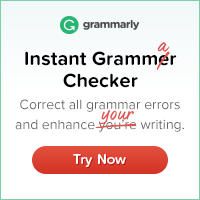 It would be helpful to have a thumbnail pictures of the famous artists’ works below the poems to show the correlation to the similar artist, but it would take time to get publishing authorizations. If you like learning about well-known artists and their styles as well as animals and their habitats and characteristics, this is a creative, educational book. Thanks to Bookpleasures and the author for offering this book to review for my honest opinion. This review will be posted on the Bookpleasures and Amazon with links on Bookfun.org, Godinterest, Pinterest, LinkedIn, and Google+.